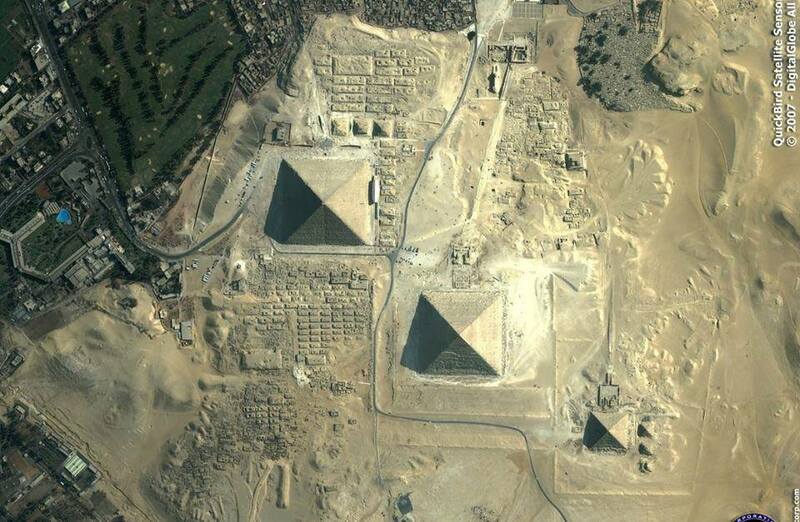 For centuries, people have racked their brains trying to figure out how the ancient Egyptians moved 170,000 tons of stone to the Giza construction site, but no one has come up with a credible answer until now. This new revelation answers one the greatest mysteries in history. 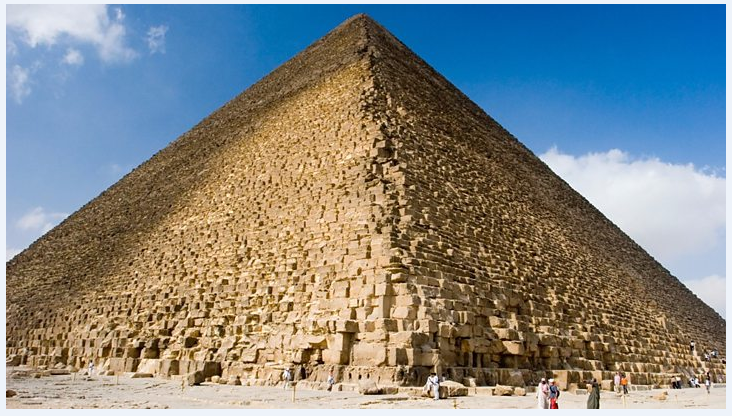 For a long time, archaeologists have known where the stones used to build Khufu’s pyramid we quarried. The limestone came from 8 miles away in Tura, and the granite, from as far as 500 miles away. How such large blocks of stone were transported across such long distances has always puzzled the archaeological community. A group of archaeologists finally discovered the answer to this 4500-year-old puzzle hidden under the sands of the Giza pyramid complex. Here, they unearthed an ancient papyrus, a system of canals, and the remnants of an ancient boat. According to Pierre Tale, who deciphered the manuscript, the group realized that very same day that these three artifacts were the final pieces of the elusive puzzle. Not only was the papyrus the oldest Egyptian document ever discovered, it also gave an eye-witness account of how the Great Pyramid was constructed. What’s more, the boat and canals confirmed its claims. The elated archaeologists discovered that the papyrus was authored by Merer, who supervised 40 sailors during the construction of the pyramid. He narrates how thousands of supervisors like himself transported the blocks of hewn rock down the Nile and to the construction site. More importantly, he narrates how the boats navigated through the canals dug right to the base of the pyramid, and he even describes the how boats were constructed from wooden boards held by twisted ropes. 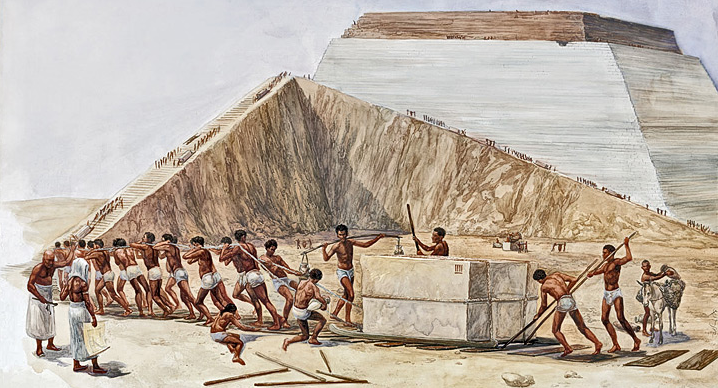 He then goes on to state that the blocks were delivered to an inland port at the base of the pyramid for two decades, which was how long it took to construct the pyramid. To the delight of the group, Merer’s description matched that of the network of canals and boat they had discovered. Using the papyrus, the archaeologists pieced together the previously unknown details about how the pyramid was constructed. Headed by Mark Leher, an experienced archaeologist, they even believe that they’ve identified where the inland port was, at the central canal basin at the plateau just off the Giza pyramid complex. When was the first pyramid built in Egypt?